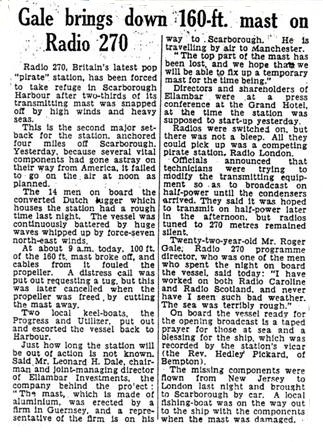 The idea for this 'local' offshore radio station had originated in late 1965 when, inspired by the success of stations in the south east of England, a group of businessmen got together to make plans for a similar operation to serve Yorkshire and the north east. The three businessmen initially involved were Don Robinson (who had financial interests in various tourism and leisure projects), Bill Pashby (a local fisherman based in Scarborough) and Roland Hill (who owned farmland on the outskirts of Scarborough). News of the project quickly spread through Scarborough and many local businessmen expressed an interest in using the services of the proposed station to advertise their company's products. Foremost amongst these was local supermarket owner, Wilf Proudfoot, who initially approached all local advertising agencies to try and find out how he could buy airtime on the planned station to promote his stores. Don Robinson approached Wilf Proudfoot inviting him not just to advertise, but to become involved financially in funding the station. Proudfoot readily accepted the offer and produced a financial business plan as well as persuading many other investors to put their money into the project. Another loc al businessman, Leonard Dale, then became the major shareholder and Chairman of Ellambar Investments Ltd. He was Managing Director of the internationally renowned Dale Group of companies, including Dale Electronics, which later provided generator and electrical equipment to the project and assisted with the fitting out of the offshore station’s ship. Over the next few months the usual complicated web of asset ownership and company registration arrangements were put in place to protect investors once the station had come on air. The holding company for the whole project, Ellambar Investments Ltd. was actually registered in Britain, but had 'loaned' its entire capital to Progressiva Compania Commercial SA and Marmado Cia Naviera SA based in Panama. 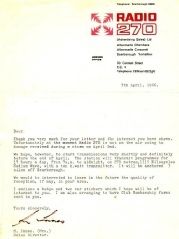 When the station was launched in June 1966, Ellambar Investments had almost 200 shareholders on its Share Register - 95% of them local to the North Yorkshire area. The consortium purchased a former Dutch fishing vessel, the Oceaan VII and conversion work was carried out - two on-board studios, an aerial mast, generators (from Dale Electronics), a 10Kw RCA transmitter, a 6,000 gallon water tank, two 650 gallon diesel oil tanks, a water distillation unit, radar and radio-telephone facilities. 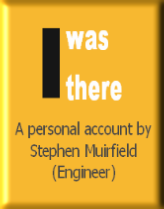 A very short timescale had been allowed for fitting out and equipping the station, with an on-air date of 1st April 1966 being planned - and almost achieved. 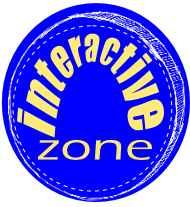 However, the station did not achieve this target and, because of the date, sceptical journalists treated the whole event as an elaborate April Fools hoax. Unfortunately for the project's embarrassed backers what happened out at sea was beyond their control. The Oceaan VII had sailed from Grimsby, where she had called for final fitting-out, but had encountered unseasonable bad weather and suffered some storm damage. 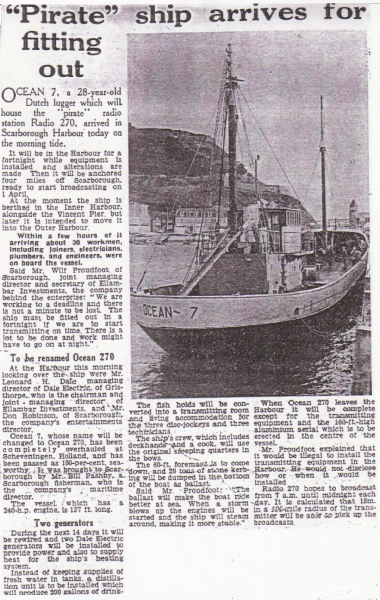 The DJs and radio crew had set out from Scarborough in another vessel the previous night for a planned rendezvous at sea with Oceaan VII and had taken with them a supply of records and other programme material so that the station could open as planned at 12 noon. 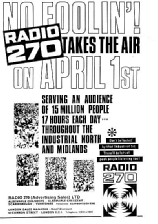 Consequently, much to the embarrassment of those waiting on land, Radio 270 was unable to go on the air as planned at mid-day on 1st April 1966. Later that same day the Oceaan VII's problems were compounded by a fouled propeller and she had to be escorted into Scarborough harbour by two local fishing vessels. Rough weather in the North Sea persisted for a few days, delaying the radio ship being towed to Grimsby for repairs which themselves took a lot longer than originally anticipated. It was not until 4th June 1966 that test transmissions for Radio 270 eventually started, with full programming beginning on 9th June 1966. 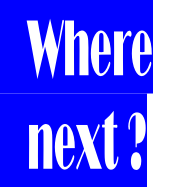 The station adopted a Top 40 format and tried to base its presentation style on the successful contemporary American Top 40 stations such as WABC, WMCA and WINS in New York. 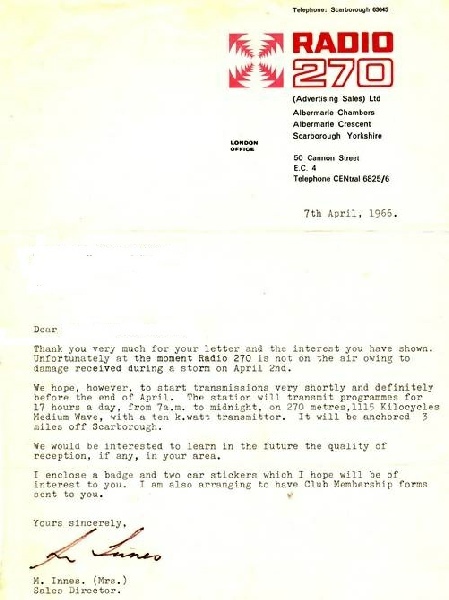 Letter sent to any listeners who enquired about the non appearance of Radio 270 on 1st April 1966. I was on boa rd when we sailed up from Guernsey in the Channel Islands under tow by Bill Pashby's ship (we had to be under tow for insurance reasons). It was one of the worst storms in living memory we met up with a fishing ship and DJ's and the RCA engineering team led by Tony Eundale leapt aboard in heavy sea's. We had managed to get the transmitter tuned up on low power in to our dummy load and were testing with the Beach Boy's Party LP. It was extremely rough weather - many were hanging on and heaving up their lunch. I was below decks and working on studio cabling when I heard a tremendous crash. The whole vessel shook and we started to list - A VERY VERY frightening experience. I crawled along the side of the passage making my way aft and climbed up the companion way to see what was happening and saw that the top of our radio mast had crashed down on the deck and was hanging over the side and the radio mast insulators were breaking just like shrapnel and throwing all over the deck. There were cables from the mast whipping around the deck. 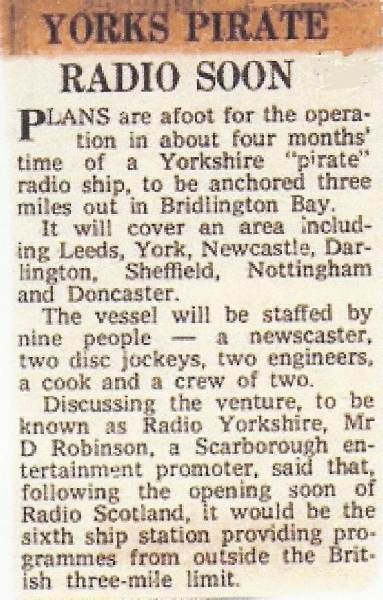 I saw members of the crew hacking at the hawsers with fire axes to cut through them as with all the mast hanging over the side and with the listing vessel about to take water we were in danger of our lives and the dream of great radio for Yorkshire was about to slip between the waves.